To better understand One World Builders, we offer a picture gallery of the exterior and interior of custom homes we have built for our clients. Whether you plan to build your home in Tamarack, Sun Valley, Boise, Twin Falls or other locations in Idaho, we have the experience and the reputation to design and build your home. Understanding your vision and staying within your budget are one of the many important factors when building your home. As a quality home builder, it is our job to build you a house that you are not only proud of, but also to enjoy with your family and guests for years to come. 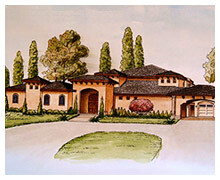 Contact us today, at 208.280.3333 for a consultation, or for more information about building your dream home. Please Note: All photos are property of One World Builders (www.Idaho-Home.com) and are not to be duplicated or copied in any form without written permission. For more information and/or written permission please contact jack@idaho-home.com. 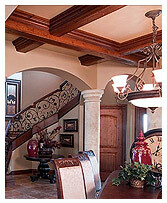 We are one of the most reputable and prestigious custom home builder in Idaho. Our professional team of experts will work with you from the initial consultation to completion to make sure that you are a satisfied client. With our office centrally located in Twin Falls, One World Builders builds custom homes in Treasure Valley, Magic Valley, Sun Valley, Tamarack and surrounding areas. We also build internationally.